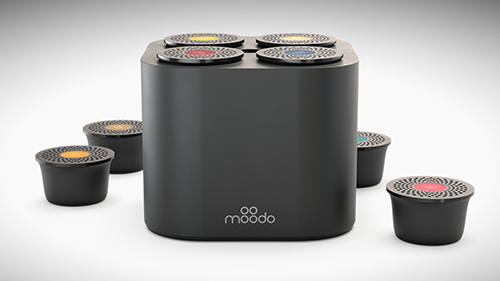 Experience Moodo- a smart aroma diffuser that allows you to customize scents according to your taste, mood and lifestyle. 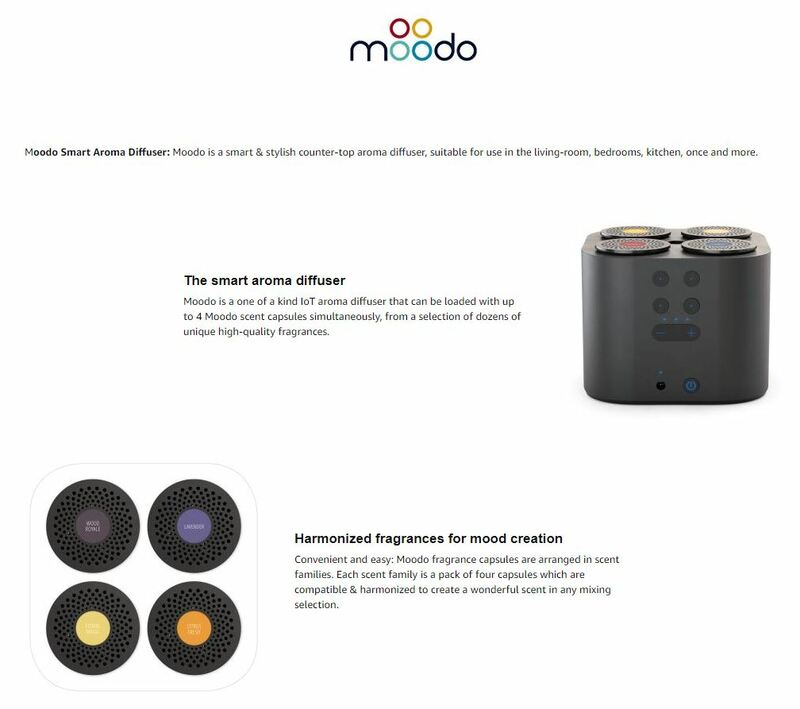 Moodo holds 4 different fragrances at a time: pick one of the pre-set mixtures proposed by the Moodo app, or use the free Moodo app to mix and create your own unique scents! With an app on your phone, you can schedule different scents at different times of day. Fragrances are alcohol-free, wax-free, oil-free and don't require any heat to effortlessly fill your space with unique, fresh scents. 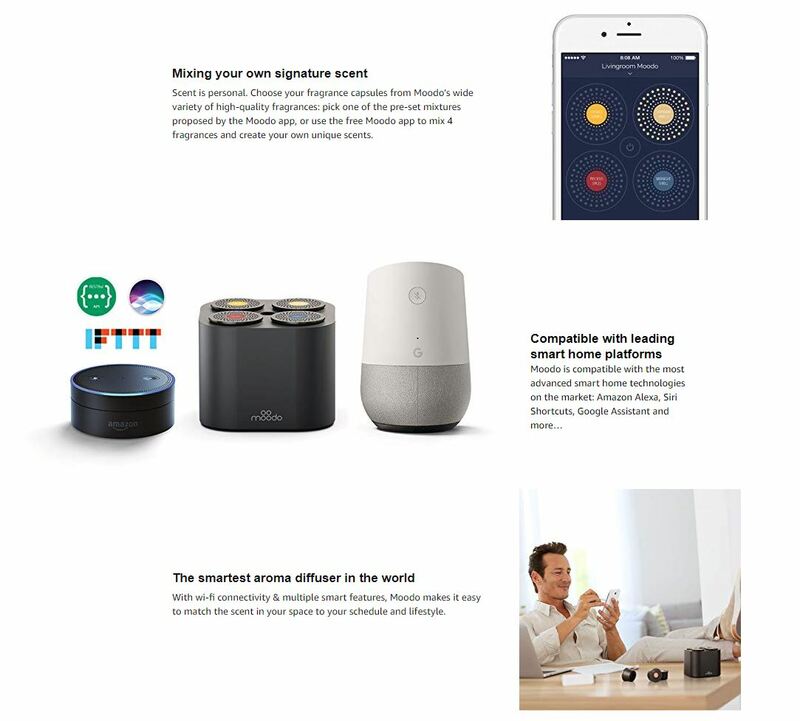 Moodo is compatible with the most advanced smart home technologies on the market: Amazon Alexa, Siri Shortcuts, Google Assistant and more! Smarten your scents! Tryazon will select 50 hosts for this opportunity. Those chosen will receive a party pack with a Moodo diffuser as well as various amazing scent capsules to showcase and sample with friends and family! Learn more about the products and party by clicking the tabs below! Moodo is brought to you by Agan Aroma, a global leader that has been producing quality ingredients for the fragrance industry for over thirty five years. Our key strengths and guiding principles include R&D excellence, application of novel technologies and using cutting-edge processes to produce quality fragrances. 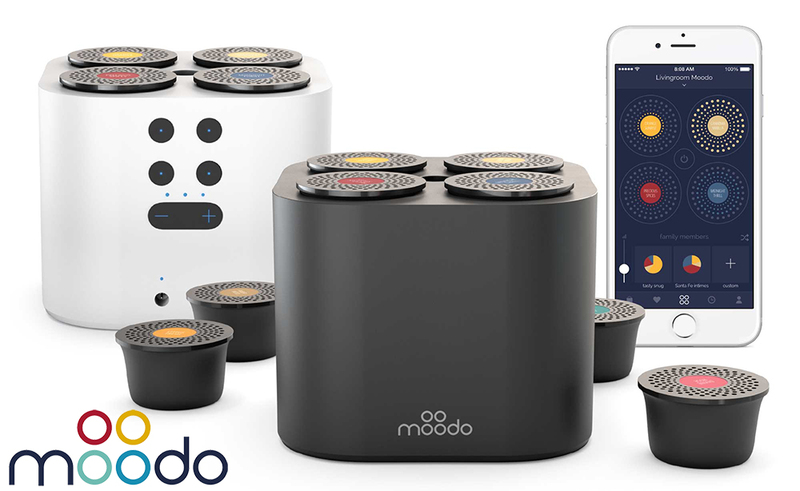 Learn more about the Moodo HERE . The fun begins in March, when parties will be hosted! Tryazon will select up to 50 hosts for this party.